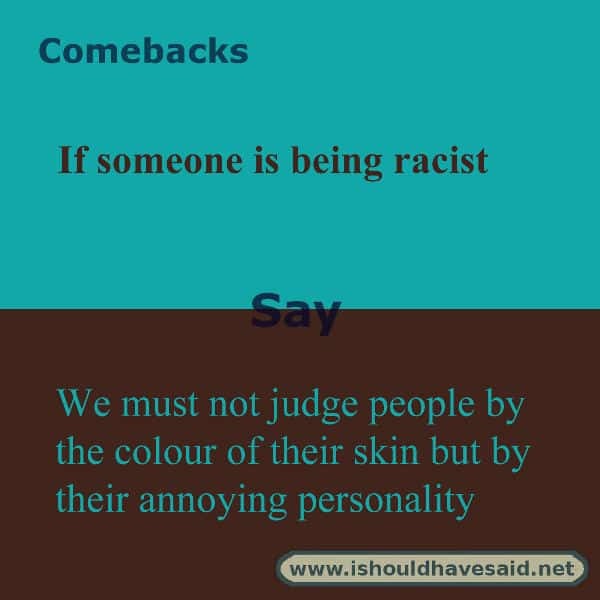 In this day and age, it is hard to believe that someone would think that it is socially acceptable to make a racist remark. 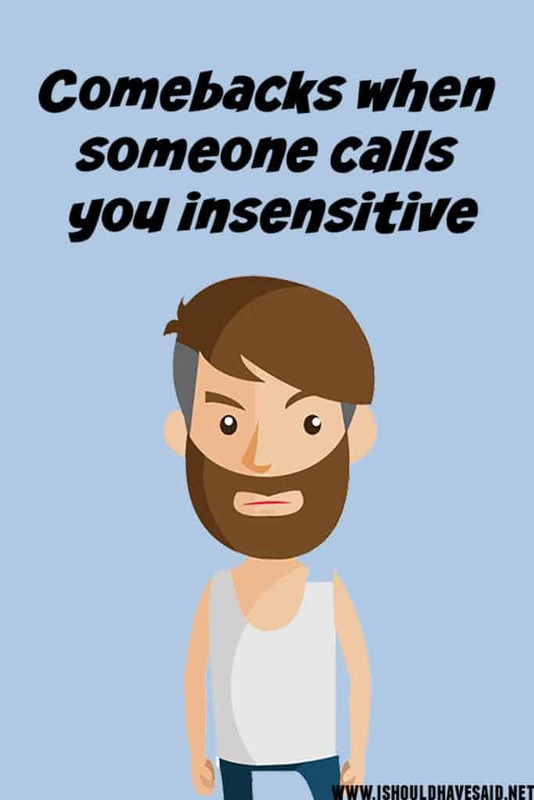 By speaking up and responding, you are sending a message to others that is not OK to make derogatory comments. 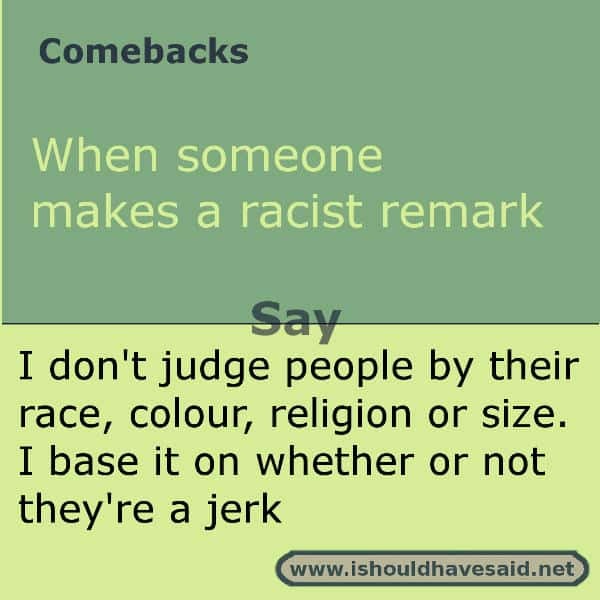 You may not be able to change a small mind right away, but you might get them thinking with one of our comebacks to racist remarks. 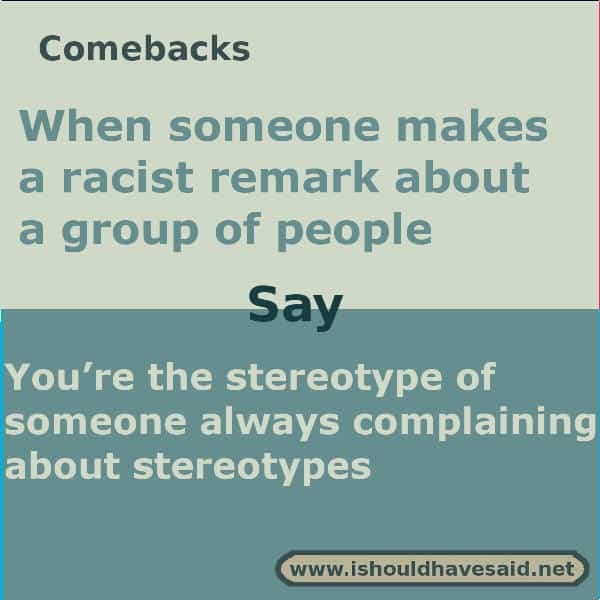 See the most popular comeback for racists determined by I should have said voters. 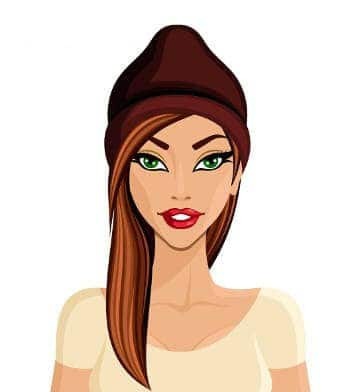 When you aren’t into someone and they’re hitting on you trying to hook up, and won’t go away, it can be a little exasperating. 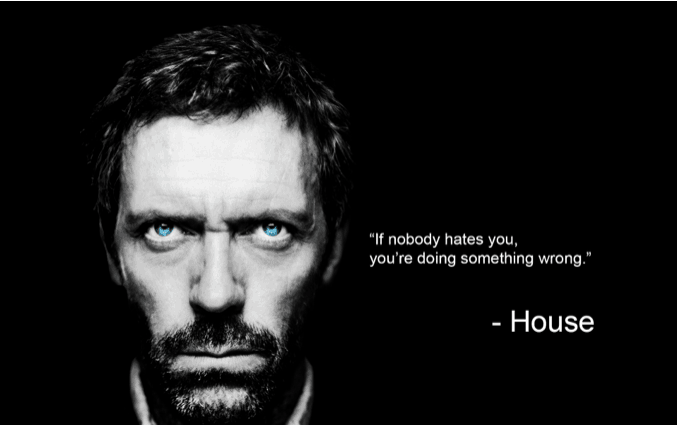 If you aren’t that into him or you just don’t want to hook up you need to the person down gently. 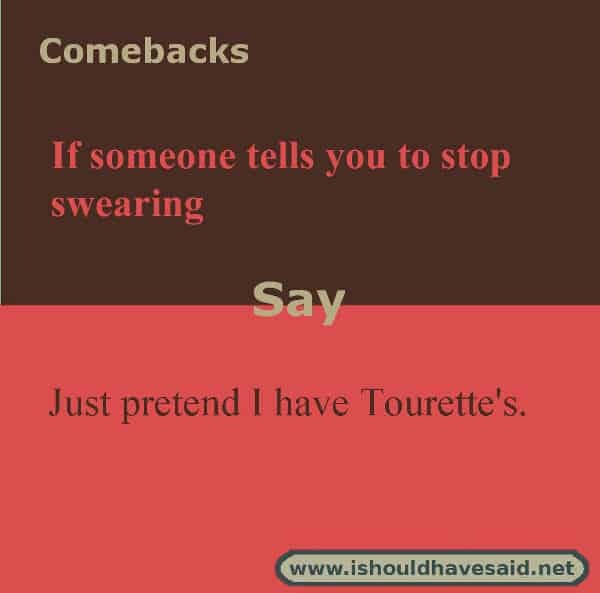 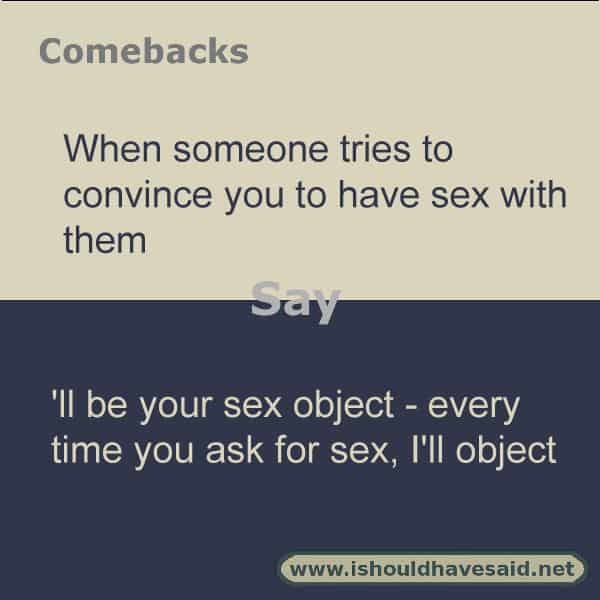 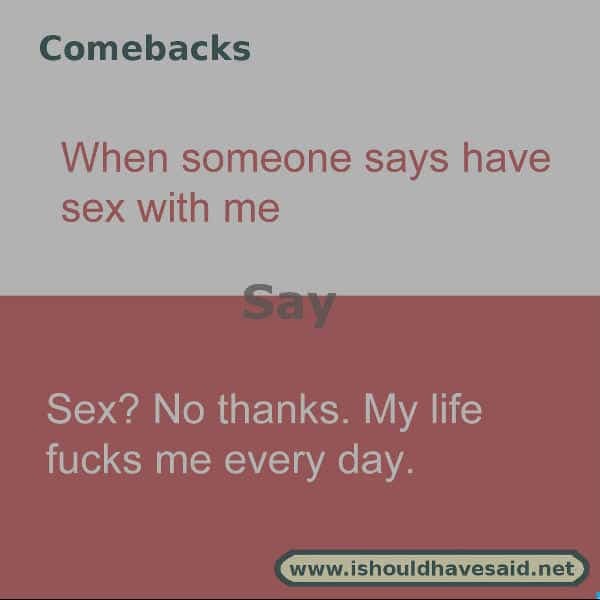 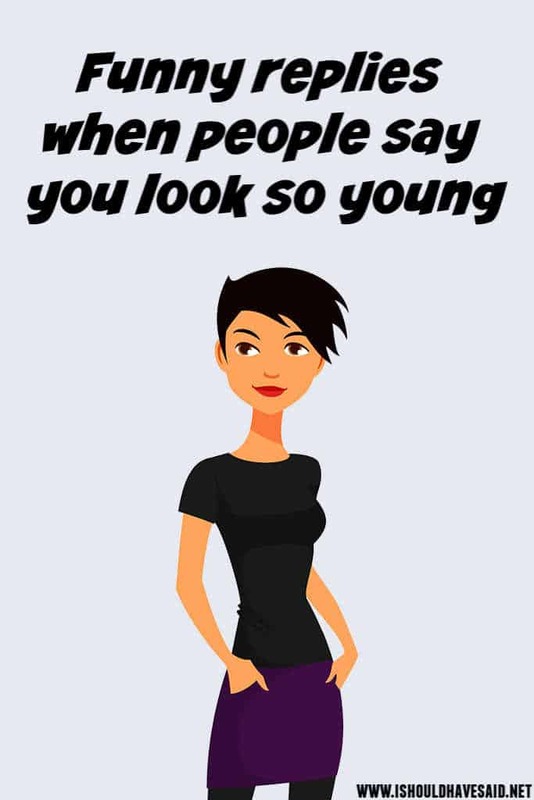 Try using one of our funny comebacks and let the person know it’s just not going to happen! 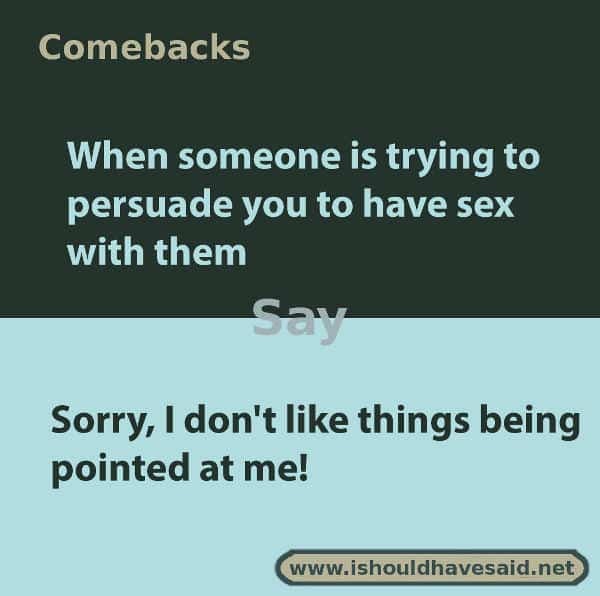 See the most popular comeback when someone wants to hook up determined by I should have said voters. 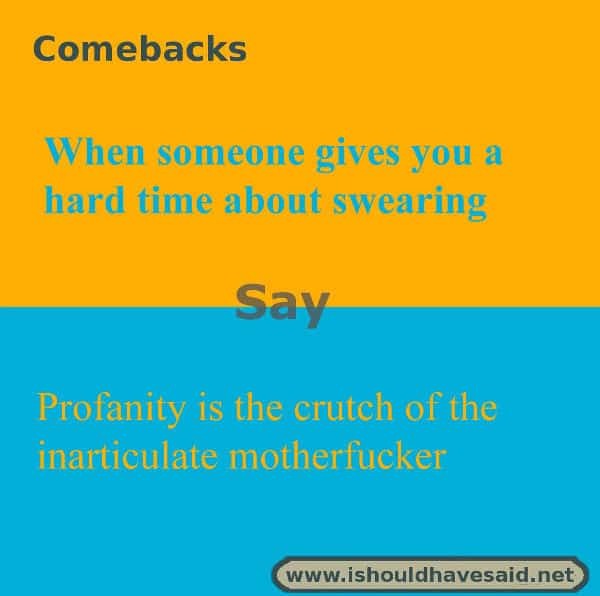 If you stub your toe or are told some very bad news it may feel natural to shout on an f-bomb and a few other choice words. 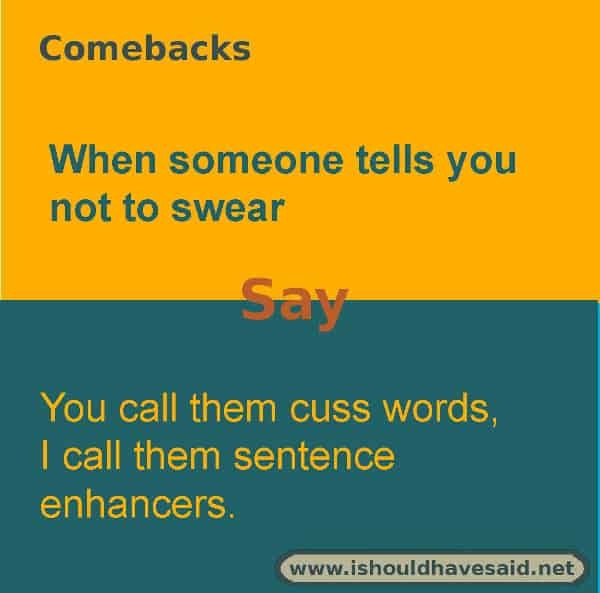 Not everyone will appreciate your extensive vocabulary, and a few people may even get pissed off. 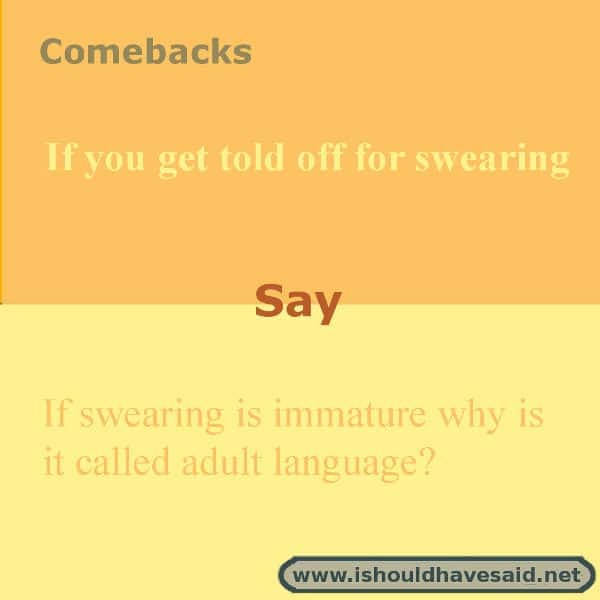 If you get told to stop swearing you can either wash your mouth out with soap or use one of our clever comebacks below. 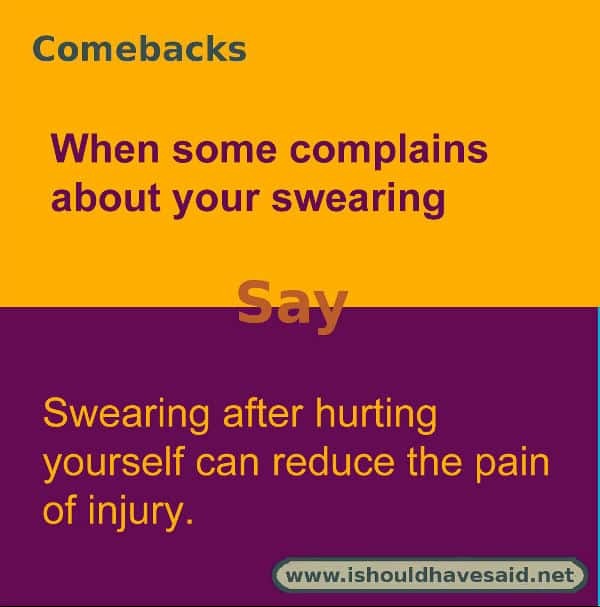 See the most popular comeback for being told to stop swearing determined by I should have said voters.